In 1920, Liddell joined his brother Robert at the University of Edinburgh to study Pure Science. Athletics and rugby played a large part in his university life. He ran in the 100 yards and 220 yards races for Edinburgh University and played rugby for the University club, from which he gained a place in the backline of a strong Scottish national rugby union team. In 1922 and 1923, he played in seven out of eight Five Nations matches along. In 1923 he won the AAA Championships in athletics in the 100 yards (setting a British record of 9.7 seconds that would not be equaled for 23 years) and 220 yards (21.6 seconds). He graduated with a Bachelor of Science degree after the Paris Olympiad in 1924. 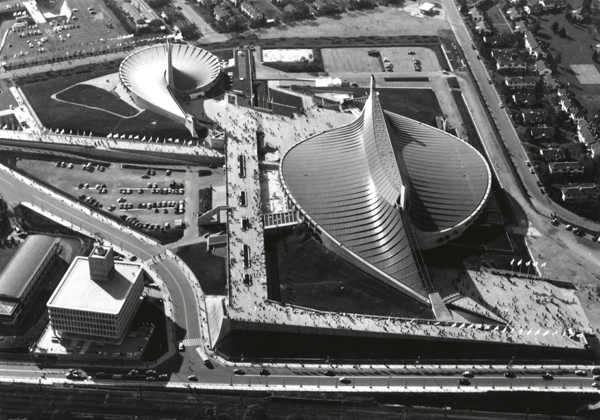 The 1924 Summer Olympics were hosted by the city of Paris. Because he was a devout Christian of a particular stripe, Liddell refused to run in a heat held on Sunday and was forced to withdraw from the 100-meters race, his best event. 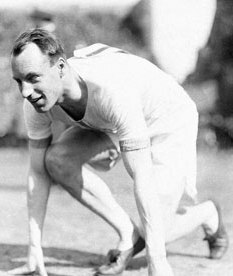 The schedule had been published several months earlier, and, contrary to the portrayal of this action in Chariots of Fire, he made this decision well before the Games. There was no tense meeting with the Olympic committee and the Prince of Wales invoking his patriotism. 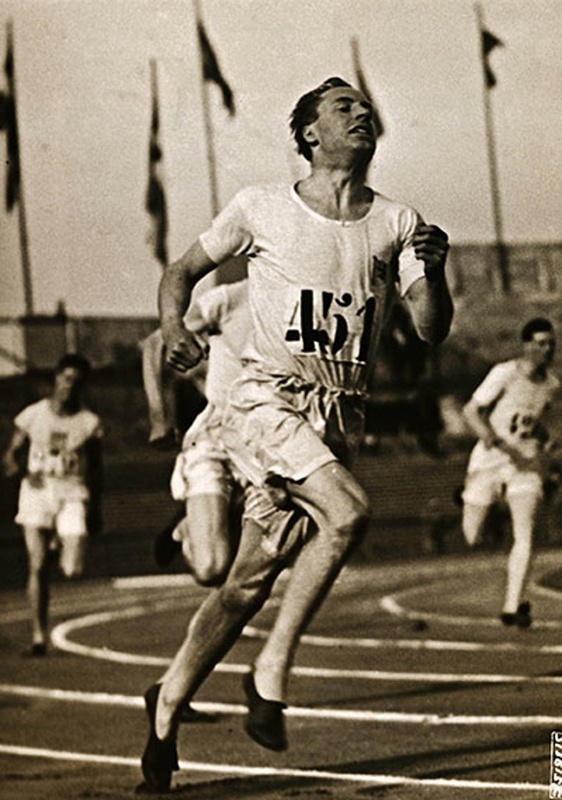 Liddell spent the months before the games training for the 400 meters, though his best pre-Olympics time of 49.6 seconds, set in winning the 1924 AAA championship 440 yards, was modest by international standards. The pipe band of the 51st Highland Brigade played outside the stadium for the hour before he ran. At the time, the 400 meters was considered a middle-distance event in which runners raced round the first bend, coasted through the back leg, then put on a sprint in the home straight . Deprived of a view of the other runners because he drew the outside lane, Liddell sprinted the whole of the first 200 meters to be well clear of the favored U.S. runners. He then treated the race as a complete sprint, and, even though he was challenged all the way down the home straight, he held on to take the gold. He broke the Olympic and world records with a time of 47.6 seconds. It was controversially ratified as a world record, despite it being 0.2 seconds slower than the record for the greater distance of 440 yards. A few days earlier Liddell had competed in the 200 meter finals, for which he took the bronze medal behind U.S. runners Jackson Scholz and Charles Paddock, beating British rival and teammate Harold Abrahams, who finished in sixth place, but went on to take the gold in the 100 meters. His performance in the 400 meters in Paris stood as a European record for 12 years, until beaten by another British athlete, Godfrey Brown, at the Berlin Olympics in 1936. 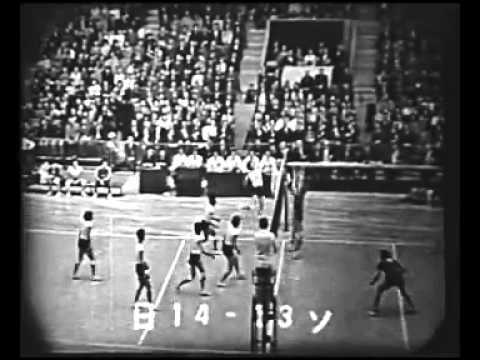 Here’s a film of Abrahams and Liddell running in the Olympics. 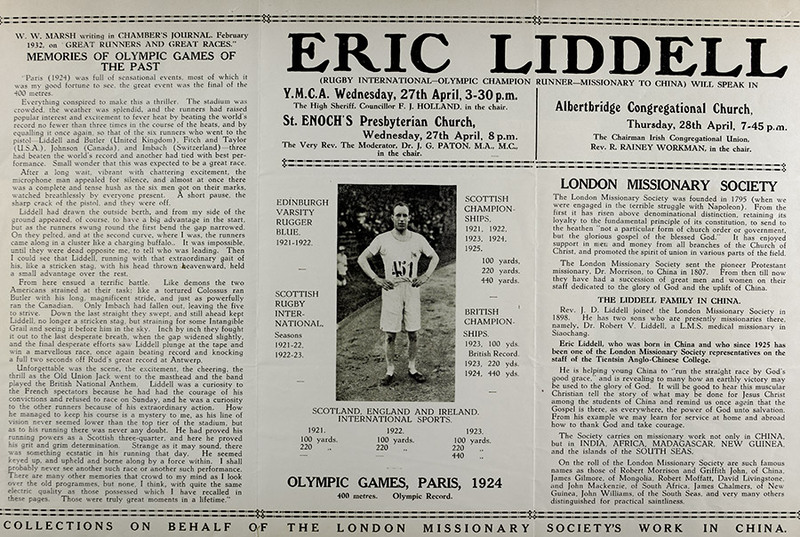 After the Olympics and graduation from Edinburgh University, Liddell continued to compete. His refusal to compete on Sunday meant he had also missed the Olympic 4 x 400 relay, in which Britain finished third. 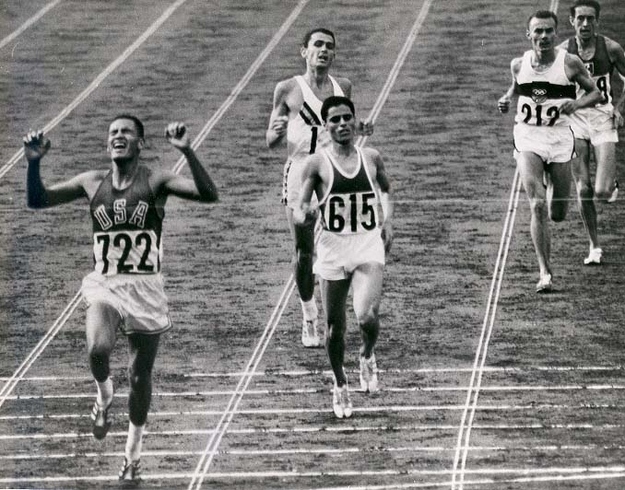 Shortly after the Games, his final leg in the 4 × 400 meters race in a British Empire vs. USA contest helped secure the victory over the gold-medal winning U.S. team. A year later, in 1925, at the Scottish Amateur Athletics Association (SAAA) meeting in Hampden Park in Glasgow, he equaled his Scottish championship record of 10.0 seconds in the 100, won the 220 yard contest in 22.2 seconds, won the 440 yard contest in 47.7, and participated in a winning relay team. He was only the fourth athlete to have won all three sprints at the SAAA, achieving this feat in 1924 and 1925. These were his final races on British soil. 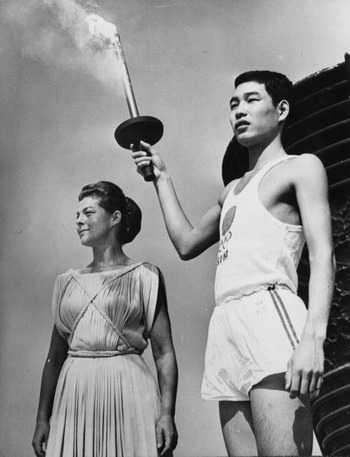 Because of his birth and death in China, some of that country’s Olympic literature lists Liddell as China’s first Olympic champion. 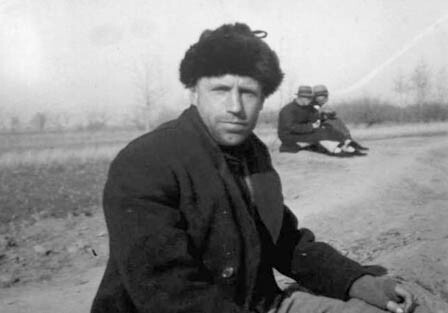 Liddell returned to Northern China to serve as a missionary, like his parents, from 1925 to 1943 – first in Tianjin and later in the town of Xiaozhang, in Hebei province, an extremely poor area that had suffered during the country’s civil wars and had become a particularly treacherous battleground with the invasion of the Japanese. 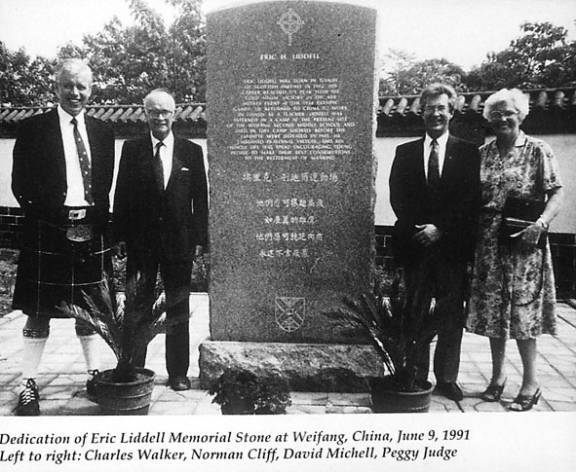 Liddell’s first job as a missionary was as a teacher at an Anglo-Chinese College (grades 1–12) for wealthy Chinese students. While he is best known for athletics, his true passion was found in his missionary work. He believed that by teaching the children of the wealthy, they would become influential figures in China and promote Christian values. Liddell used his athletic experience to train boys in a number of different sports. One of his many responsibilities was that of superintendent of the Sunday school at Union Church where his father was pastor. During his first furlough from missionary work in 1932, he was ordained as a minister. 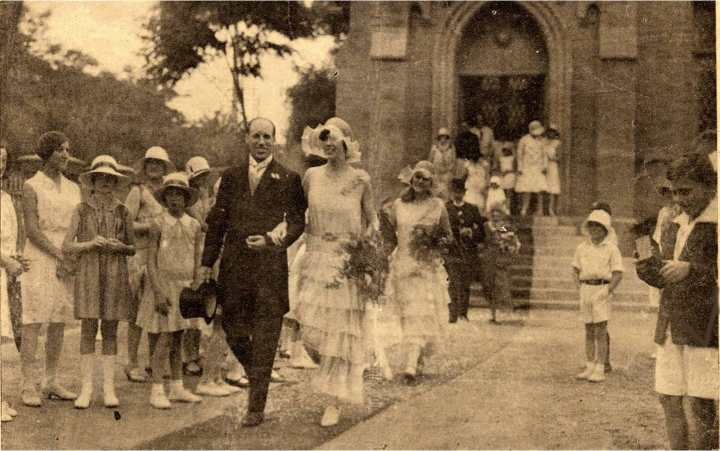 On his return to China he married Florence Mackenzie, of Canadian missionary parentage, in Tianjin in 1934. The couple had three daughters, Patricia, Heather and Maureen, the last of whom he would not live to see. The school where Liddell taught is still in use today. 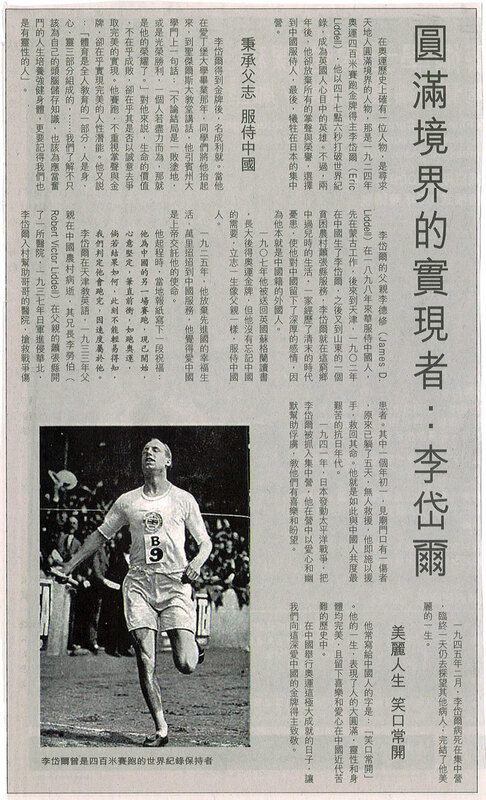 One of his daughters visited Tianjin in 1991 and presented the headmaster of the school with one of the medals that Liddell had won for athletics. In 1941 life in China had become so dangerous because of Japanese aggression that the British government advised British nationals to leave. Florence (who was pregnant with Maureen) and the children left for Canada to stay with her family when Liddell accepted a position at a rural mission station in Xiaozhang, which served the poor. He joined his brother, Rob, who was a doctor there. The station was severely short of help and the missionaries there were exhausted. A constant stream of locals came at all hours for medical treatment. Liddell arrived at the station in time to relieve his brother, who was ill and needing to go on furlough. As fighting between the Chinese Eighth Route Army and invading Japanese reached Xiaozhang, the Japanese took over the mission station and Liddell returned to Tianjin. 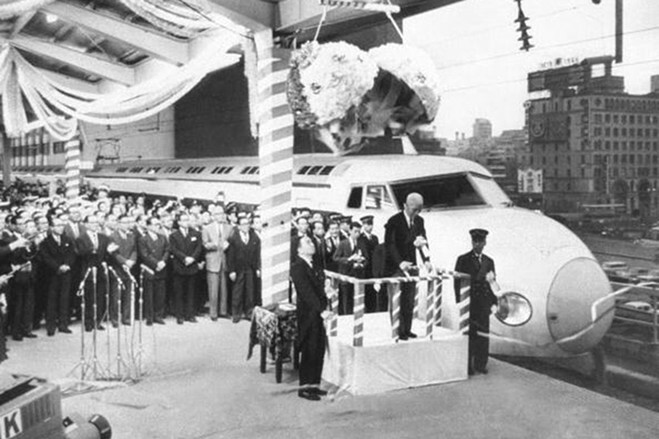 In 1943, he was interned at the Weihsien Internment Camp (in the modern city of Weifang) with the members of the China Inland Mission, Chefoo School (in the city now known as Yantai), and many others. Liddell became a leader and organiser at the camp, but food, medicine and other supplies were scarce. There were many cliques in the camp and when some rich businessmen managed to smuggle in some eggs, Liddell shamed them into sharing them. 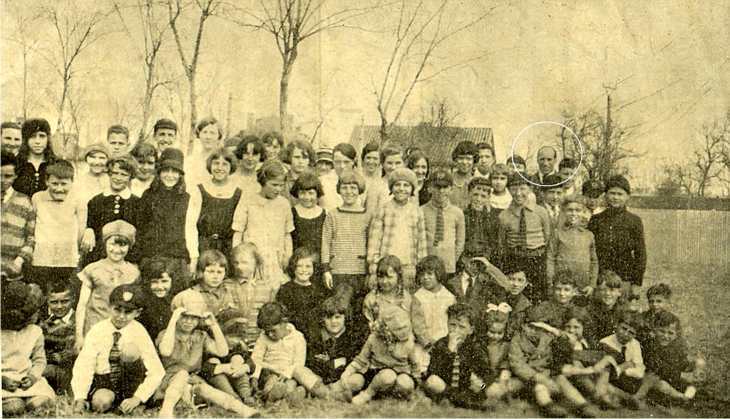 While fellow missionaries formed cliques, moralized and acted selfishly, Liddell busied himself by helping the elderly, teaching at the camp school Bible classes, arranging games and by teaching science to the children, who referred to him as Uncle Eric. In his last letter to his wife, written on the day he died, Liddell wrote of suffering a nervous breakdown due to overwork. He actually had an inoperable brain tumor, but fatigue and malnourishment may have hastened his death. Liddell died on 21 February 1945, five months before liberation. Langdon Gilkey later wrote, “The entire camp, especially its youth, was stunned for days, so great was the vacuum that Eric’s death had left.” According to a fellow missionary, Liddell’s last words were, “It’s complete surrender”, in reference to how he had given his life to God. 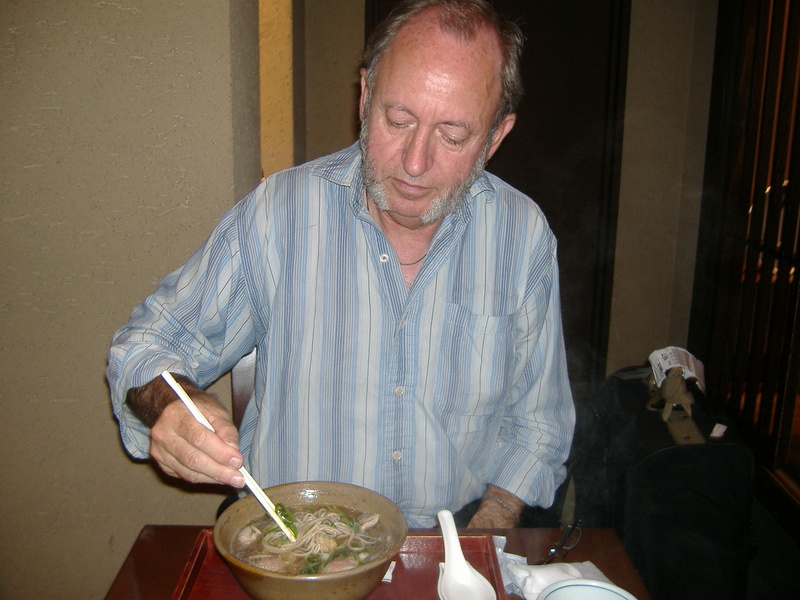 In 2008, just before the Beijing Olympics, Chinese authorities revealed that Liddell had refused an opportunity to leave the camp, and instead gave his place to a pregnant woman. Apparently, the Japanese and British, with Churchill’s approval, had agreed upon a prisoner exchange. News of this final act of sacrifice surprised even his family members. 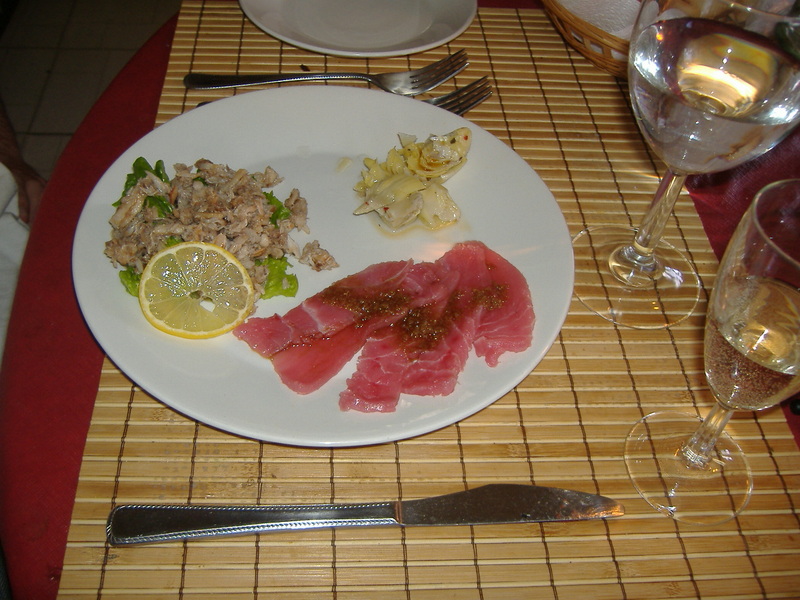 My ideas on the diet of an athlete are different for different athletes. 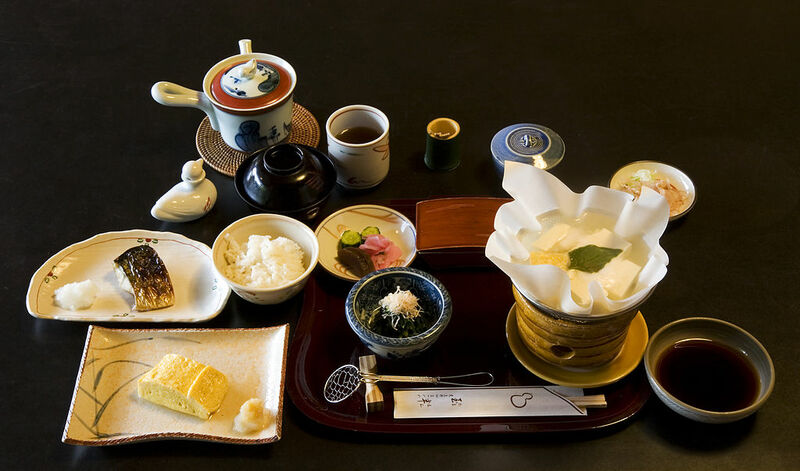 Some will find that they do best by dieting, others who are used to living on simple fare will find that they need to do very little in that direction. As I lived with 12 or 13 others in the Edinburgh Medical Mission, I just took what they took. Actually on the day of running I avoided pastry, plum pudding, and all foods that would obviously be too heavy as passengers for the afternoon. On one day on which I ran I took plum pudding, and that day I ran the second fastest ‘quarter’ I have ever run in Scotland. A “quarter” is 440 yards, that is, a quarter of a mile. 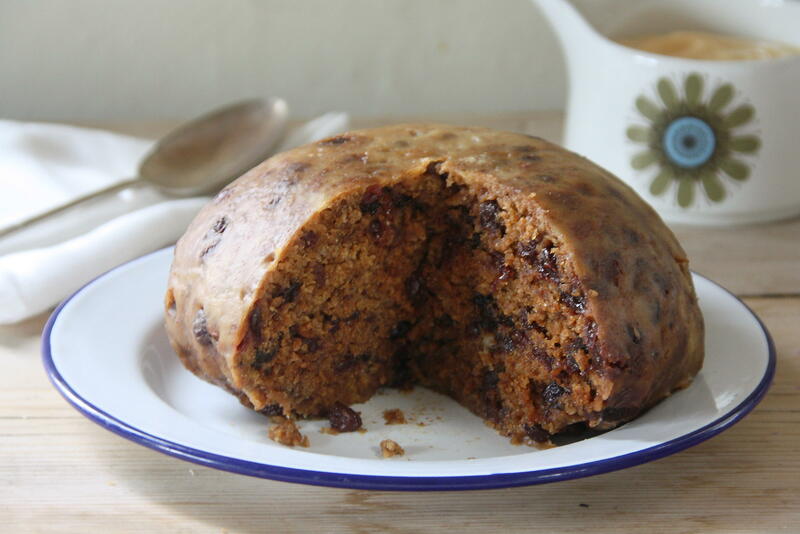 Scots do make a plum pudding like an English Christmas pudding, but they also make clootie dumpling, which is similar but lacks eggs and milk. 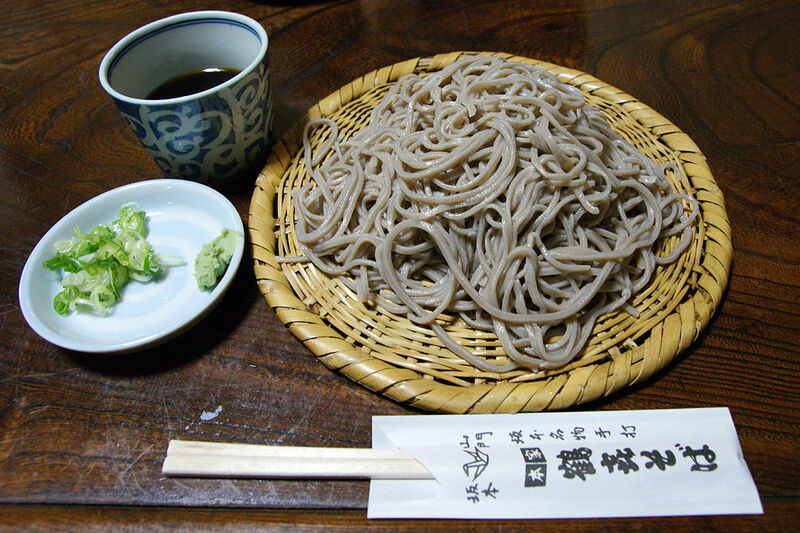 It has a light skin formed by flouring the cloth that it is boiled in. 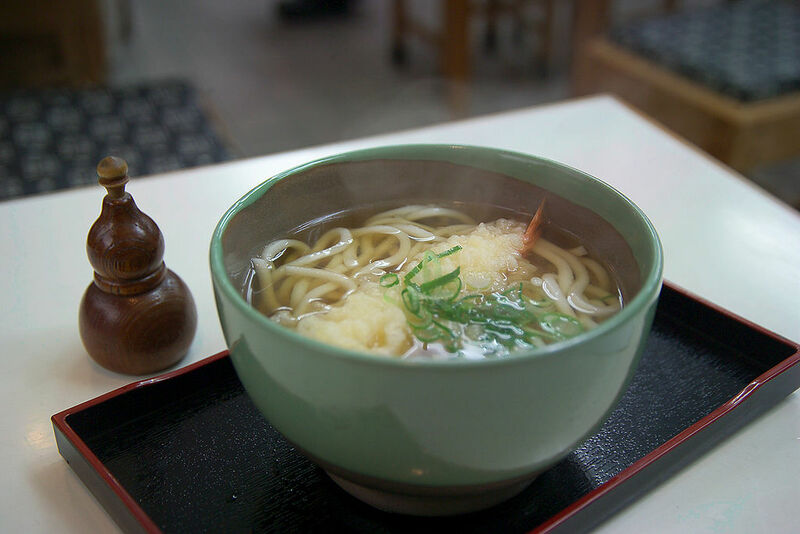 Mix the ingredients together thoroughly in a large bowl, then add cold water a little at a time to form a sticky dough that will hold together. Spread out a large piece of muslin or cheesecloth (doubled) and flour it lightly. Use your hands (floured) to scoop out the dough and make a mound in the center of the cloth. Sprinkle flour lightly on top of the dough. Then draw up the cloth and tie it securely at the top to form a ball. Set a trivet in the bottom of a large pot and half fill it with water. Place the dumpling on the trivet and bring the water to a gentle boil. The water should come about halfway up the side of the dumpling. Cover and gently boil for about 3 hours or more. Keep an eye on the water level and top up with warm water as needed. The dumpling will set firmly and can be unwrapped on to a serving dish. 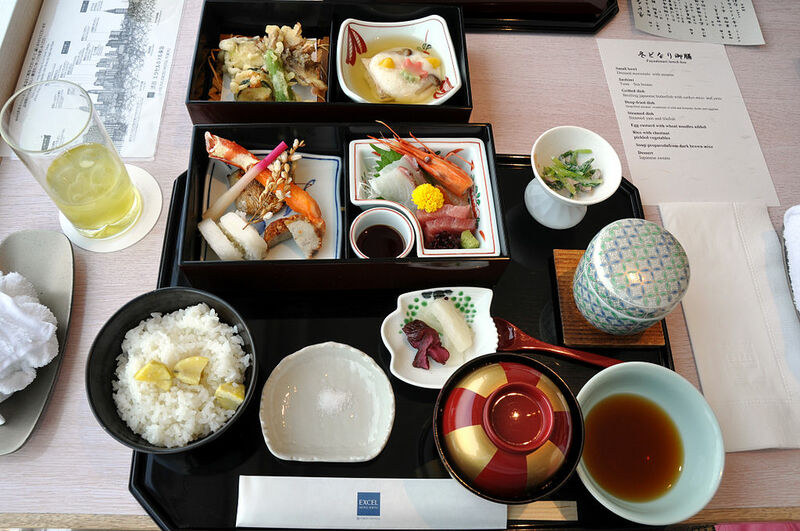 Serve with fresh egg custard.